Hello, and thank you for visiting my website. My name is Huy Huynh and I live in Huntsville, Alabama working as an electrical engineer. My journey into woodworking started back in 2001. During high school and college I worked on a construction crew that specialized in roofing and framing, so rough carpentry came naturally to me. In 2011 shortly after graduating college, I bought a foreclosed "fixer-upper" and like many woodworkers, my interests were sparked by learning more complex DIY skills (carpentry, electrical, and plumbing). In 2013 I got married, and my wife was determined to change the "bachelor pad" into something more inviting. She wanted a hall tree to organize our jackets, shoes, and dog leashes. With minimal tools I decided to build my own Arts and Crafts style hall tree rather than buy a piece of mass produced furniture. I quickly became obsessed with designing and building cabinets for our house and for my workshop. 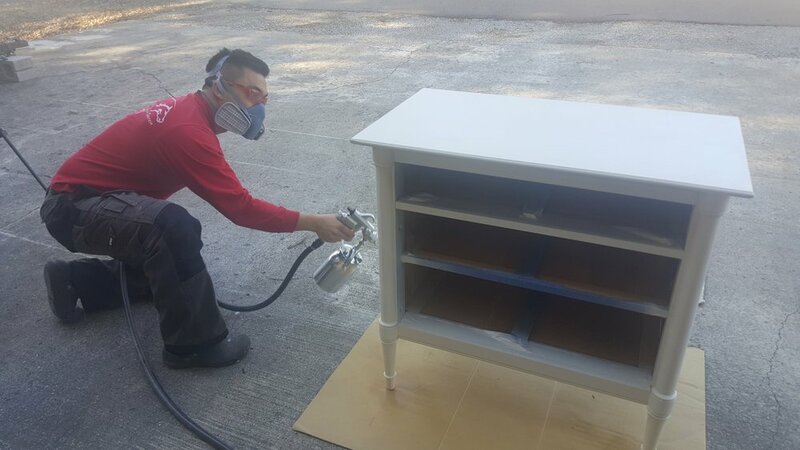 Being an electrical and aerospace engineer, I gravitated to the more technical side of furniture and cabinet making. 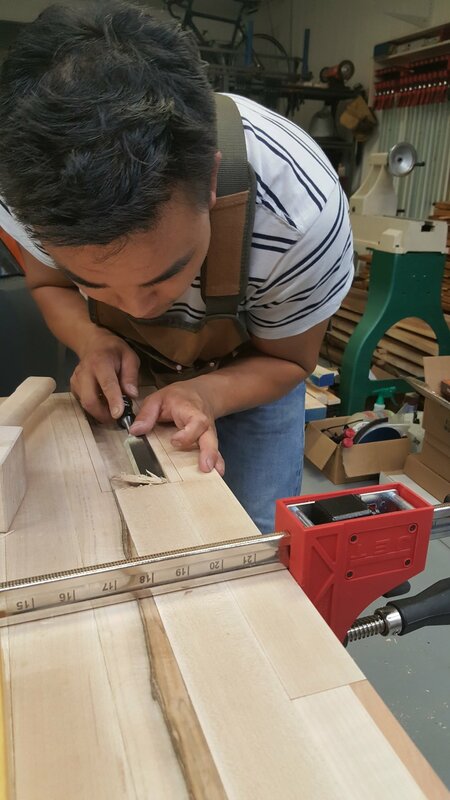 However, I wanted to develop my weaknesses as a woodworker, which was design and artistry. Designing and building furniture incorporates both the technical and artistic side to woodworking. This website and blog, along with my YouTube channel and Instagram feed, serve as ways to document my growth as a furniture and cabinet maker. They also serve as resources for you! I learn the most by "doing" and by teaching others. 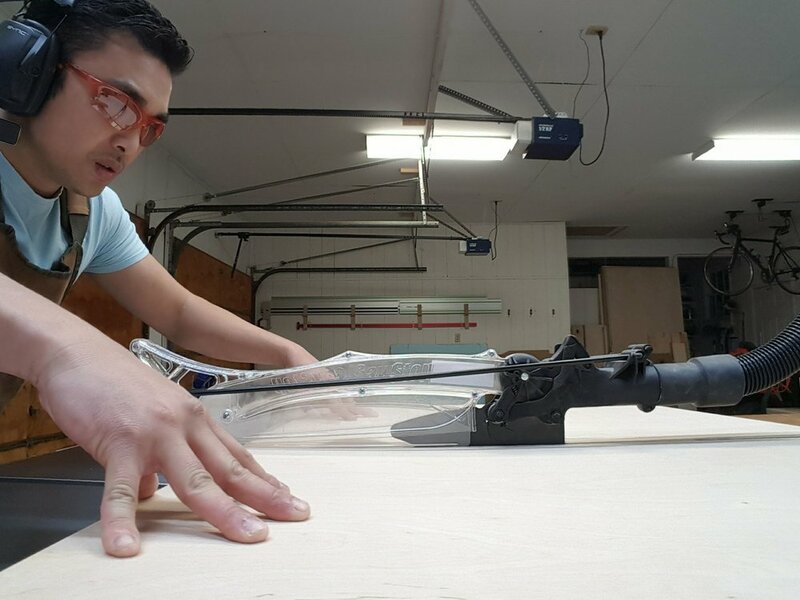 I try to learn something new in every project I tackle and then share what I've learned with the online woodworking community through blog posts, videos, and images. I’m also accepting commissions. If you’re looking for a piece of custom studio furniture, please head over to my contact page and send me message.